This review is a bit late, but we got there in the end! Our first P55-UD5 from Gigabyte somehow got a cake-like crumbs in the LGA1156 socket. We kid you not. Given the evidence, we suspect Victoria Sponge, although no one admitted to consuming the tasty treats over or even near the motherboard. In the end, we requested a replacement from Gigabyte. We have to give Intel and/or Gigabyte credit where it is due, their products are highly resilient to confectionary attack though: despite having 6-pins in the socket damaged, it took us all day to diagnose the issue since the board still worked and overclocked. We only noticed something was wrong because the performance results were up and down like a Yo-yo and one DIMM out of two intermittently disappeared - that had us scratching our heads for a couple of days! 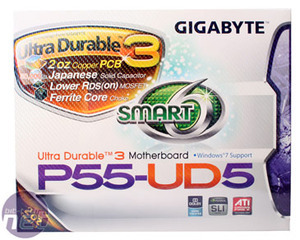 One new board and a complete labs purge of all cake-like materials later, and we've finally re-evaluated the Gigabyte GA-P55-UD5 against other popular P55 motherboards for today's review. 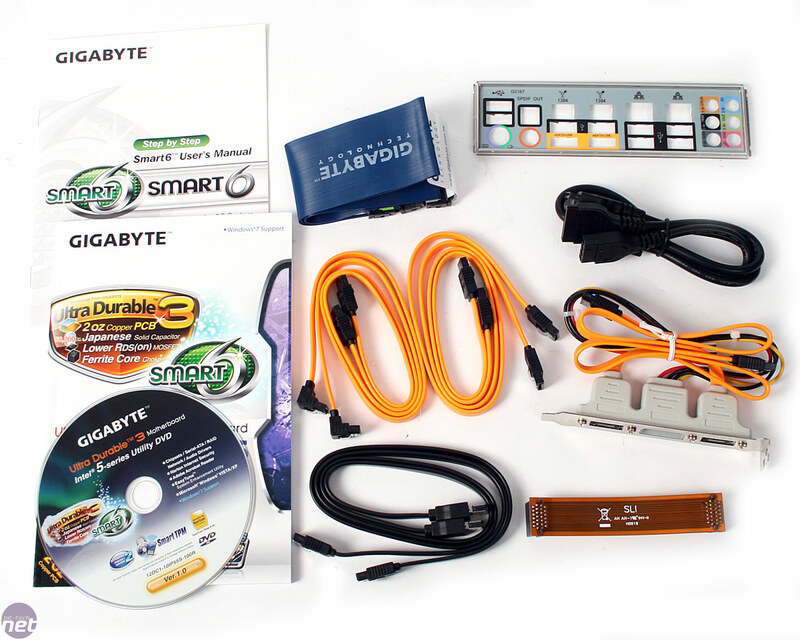 The Gigabyte bundle is very good: we're a little short on SATA cables but included are even more eSATA thanks to an additional PCI bracket adapter, bringing a total to four including the ones on the rear I/O! 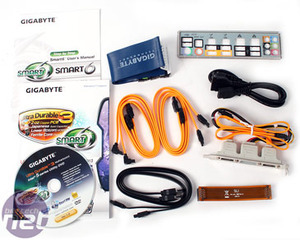 The manuals are pretty detailed and Gigabyte includes a separate one for its Smart6 software where a quick breeze through will let you know what it all does. 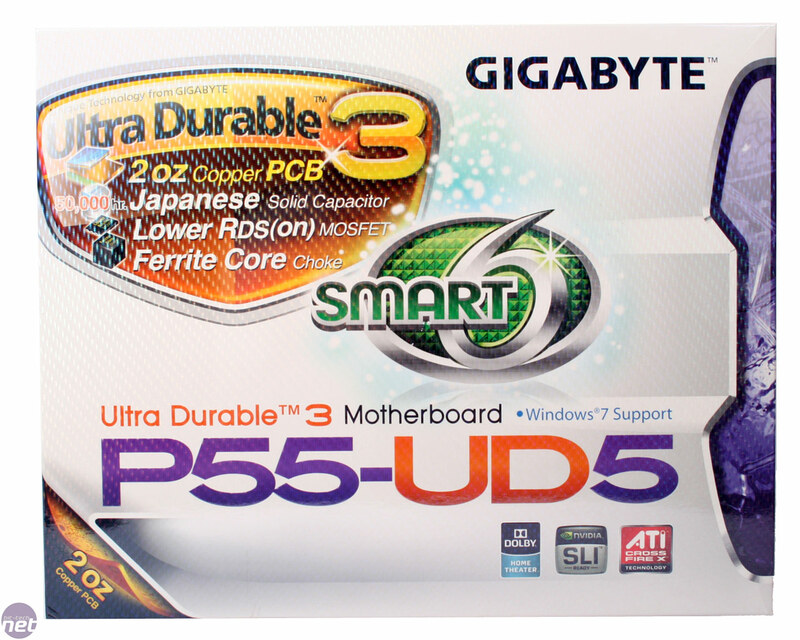 If you want to find out now though, check our previous P55M-UD4 review for details. The Maximus III is a Lynnfield Republic of Gamers board with a serious legacy to live up to - Asus's Maximus II was a 10/10 product, and powered by Intel's P45 chipset, it was the ideal board for overclocking a Core 2 CPU. We see if this pimped out sequel lives up to its predecessor.